Over the last decade and a bit the quirky, dysfunctional family ‘dramedy’ has been a staple of the American Indie cinema. 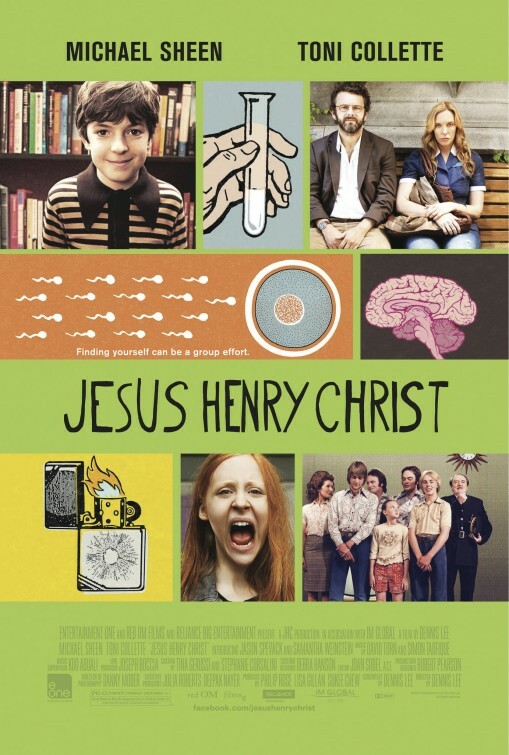 With the provocatively titled Jesus Henry Christ, writer and director Dennis Lee again ventures into this familiar territory. The film revolves around four suitably oddball characters. Henry is a child genius who has the amazing ability to remember perfectly everything he has ever seen. He lives with his over-protective single mother, who he simply calls Patricia, whose cautiousness results from having lost her mother and elder siblings to a series of ridiculous accidents. Henry’s quest to discover the identity of his father brings them into contact with Dr. Slavkin O’Hara, the university professor who is potentially Henry’s sperm donor father, and his daughter Audrey, a stone-faced teenager suitably messed up after having been used as a real life subject in her father’s research on the social programming of gender. Beneath this surface level of quirky characters and witty dialogue, at the heart of the film is a comparatively straight forward central theme: the importance to family to one’s sense of identity. All of these four central characters are suffering as a result of a missing connection to a father or mother or sibling. Obviously shooting for a deadpan vibe somewhere between Little Miss Sunshine and the films of Wes Anderson, where Jesus Henry Christ falls short is that its relentless pursuit of quirkiness and wit doesn’t allow for any believability. If a film can’t get you to suspend your disbelief enough to accept what you are seeing as being on some level real you simply won’t care about the characters enough to truly empathise, and unfortunately that is what happens here. Jesus Henry Christ just doesn’t quite hit the mark. It is quirky and oddball without every really being funny and it is thought provoking without ever being really moving.